475 square metres, full sea views, infinity pool, 4 bedrooms. Villa Type D – Last One! 475 square metres full sea views, infinity pool, 4 bedrooms leading onto 10 metre pool, 5 bathrooms, fully landscaped gardens, open plan living, dining area, fully equipped European kitchen, all leading onto balcony with sea views, remote control double garage, store room, laundry room. Villa Type D are all designed to provide the maximum amount of open architecture bringing the outdoor and indoor living areas seamlessly together. 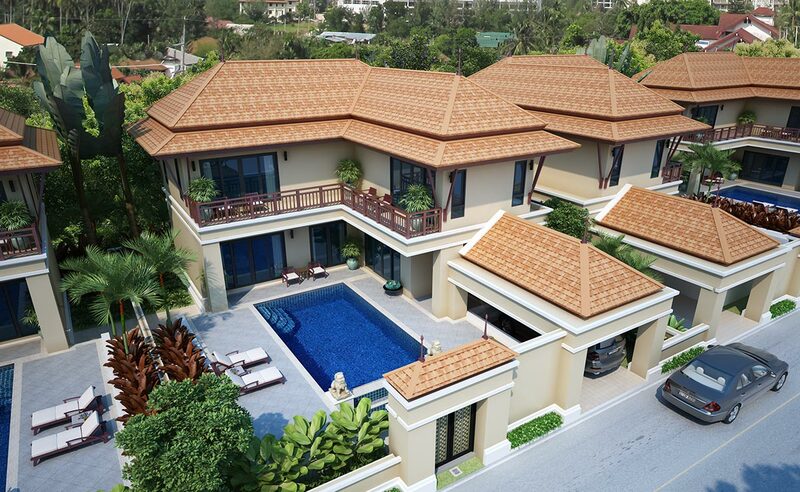 Most of the individual villas are orientated to afford full sea views (the furthest being only 150 mtrs from the beach) across the crystal clear aqua blue waters of the Gulf of Thailand. 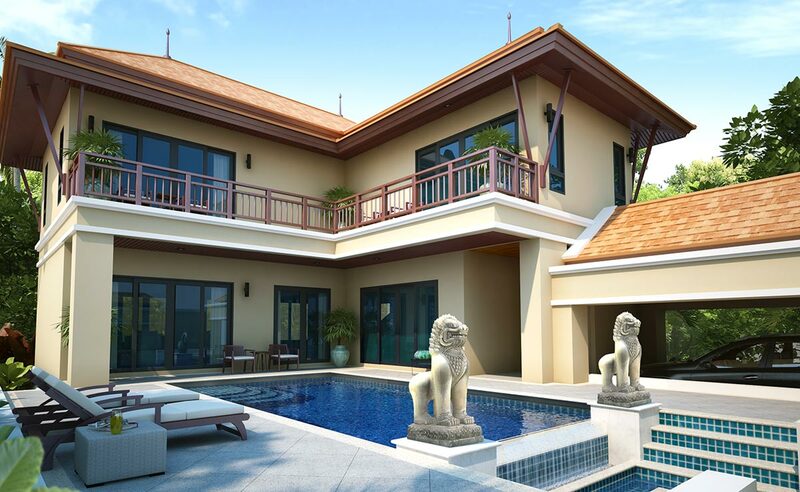 All the villas are built within their own walled gardens, each with a private swimming pool set in lush tropical landscaping. 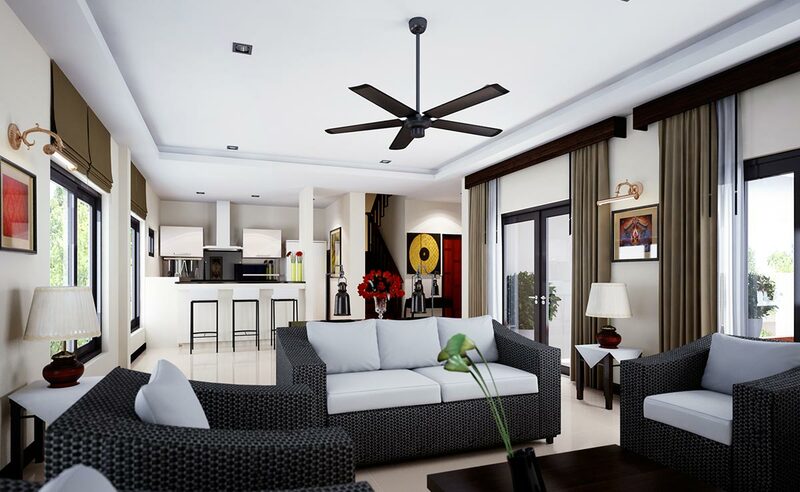 With wide outdoor decks and balconies to each room and living space, the villas provide the owner’s with the true tropical outdoor lifestyle. Careful attention has been made to ensure privacy is always maintained and once you have entered your villa grounds “Talay Sawan” provides you with your own perfect sanctuary. 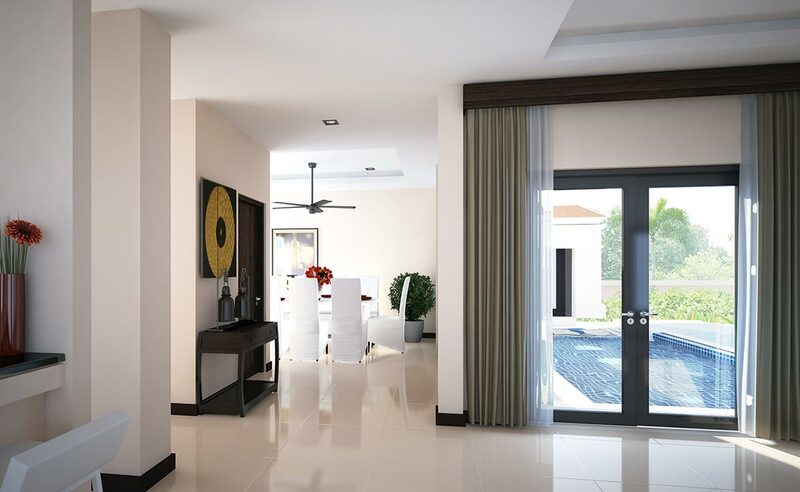 With usable living spaces the interior of the villas have been designed to give a relaxed atmosphere and the minimum amount of walling is used to create a large open plan living, dining and kitchen space. There are full height windows reaching up to the high ceilings, again adding to the feeling of openness. The materials and finishes of “Talay Sawan” have been selected for not only their aesthetic appeal to be in keeping with the style of living but also for their practicality. 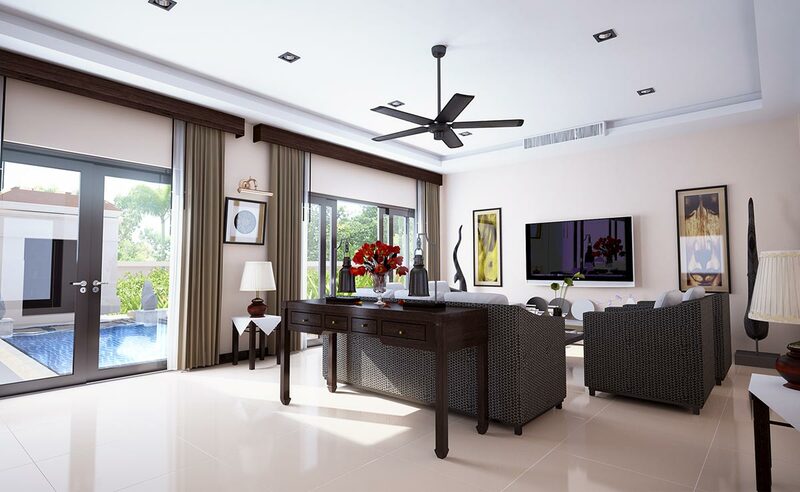 The result is a truly high standard of luxury which allows the owners to enjoy their villas without the worry of continuous costs of maintenance and repairs. The result is your own beautiful tropical home in paradise, on a quiet un-spoilt beach side location far from the madding crowd yet a mere 25 minutes from one of the busiest cities in Thailand. 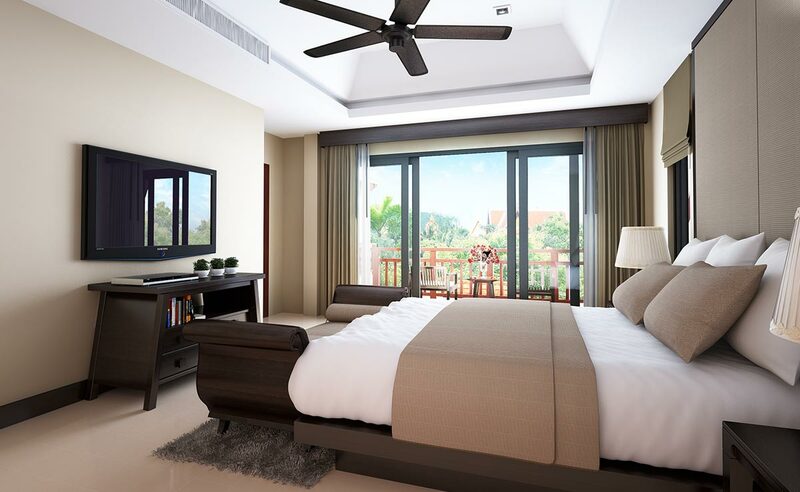 Every room has air conditioning throughout.